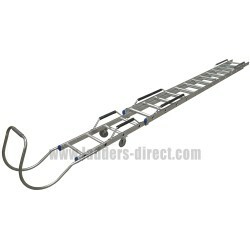 An extremely popular roof ladder as part of a safe and reliable component of roof restraint systems. Complies with BS EN 795:2012 Class B. The Ridge Saddle Ladder is an extremely popular ladder which is used as a safe and reliable component of roof restraint systems. 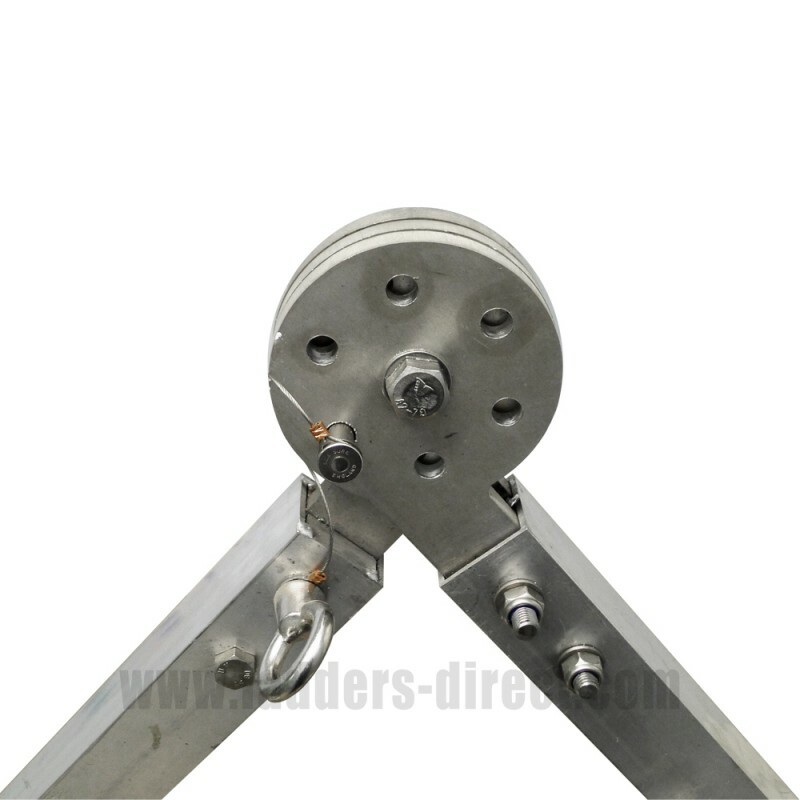 This ladder comprises of two five foot sections of aluminium ladder joined together by locking hinges. 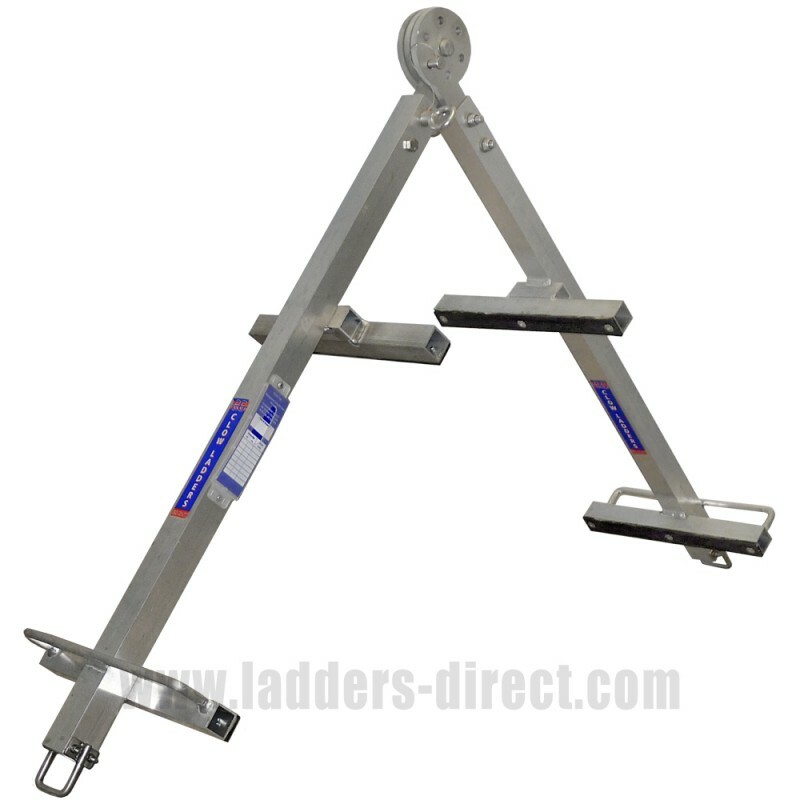 The sections of the ladder can be opened out and locked to a range of different pitches - the bottom rungs of each ladder are the anchor points. 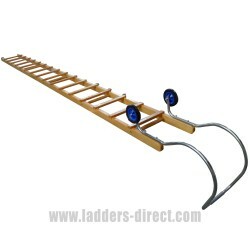 When utilised as part of the Clow Saddle Ladder System it is simple and safe to use. The Clow Saddle Ladder System was developed in response to the limitations of available roof restraint systems on the market which were time consuming, complicated and expensive to use. The Clow Saddle Ladder System is designed to be simple, flexible, cost effective and completely safe. 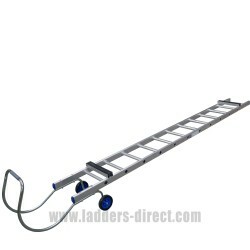 The general method of use of this ladder can be summarised as follows: The ladder is carried to the ridge of the roof, directly above the skylight, by the first user who is roped back to the secure anchor point within the attic. He opens the ladder and locks it into position over the ridge, with the ladder sections bearing on the slopes of the roof, and sits on the section of the slope opposite the skylight side. The second user connects on the anchor point on the end of the ladder at the skylight and comes out onto the roof with the materials and tools. To move across the roof the two users roped to each end (anchor points) of the saddle ladder simply lift the ladder clear of the roof surface with both hands and move sideways along the ridge to above the repair position. Once there, the second man simply moves down his long rope via his sliding chuck and carries out the repair. The reverse procedure applies to return to the attic. Every Ridge Saddle Ladder purchase is accompanied by the Ridge Saddle Ladder Operations Manual. This provides comprehensive instructions on the Saddle Ladder System and the methods used to carry out and perform various tasks such as moving across the roof, performing roof repairs at different locations and the procedures for bypassing a chimney on the ridge. 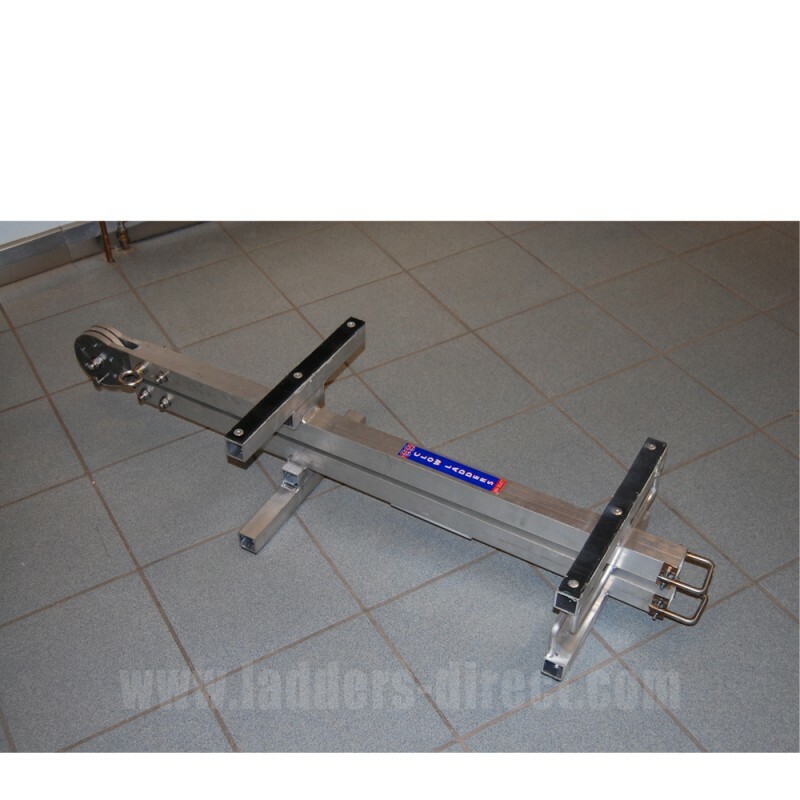 The ladder itself is compact (only 1.5m x 0.4m x 0.23m) and lightweight (just 18kg).